It would be nice to be young forever, wouldn’t it? But, of course, that’s not possible. So, perhaps, we should simply settle on just looking young forever. At the end of the day, that’s what we really want, isn’t it? Most people would argue that that isn’t possible either. But we’ve found our ways, haven’t we? The only problem is that many of these ways have produced more harm than good. Face lifts, for example, used to be the go-to solution for those who wanted to do away with their age-revealing wrinkles. However, cosmetic surgeries such as face lifts have become popular for providing people with fake, plastic-looking faces that look stretched and downright strange. For the most part, many who receive face lifts would likely have been better off doing nothing about their wrinkles at all. That doesn’t have to be the case though. Instead of a face lift, people can always turn to a soft lift. And what is that, you ask? Soft lift treatments address numerous signs of aging including fine lines, volume loss and wrinkles. It involves no surgery. Instead, Juvederm Soft Lift is used as an injectable facial filler to smoothen out signs of aging and provide a refreshed, naturally youthful look. admits as much in their piece on Juvederm, saying that it encourages patients to “postpone going under the knife”. Carol Geagon is a patient highlighted in the news story who admits that her lower face was beginning to look “deflated” with age. As well, her lips were losing some fullness. The reporter notes, however, that Carol wasn’t interested in doing “anything drastic”. Of note as well, is the fact that the Juvéderm treatments she received “took minutes, not hours”. 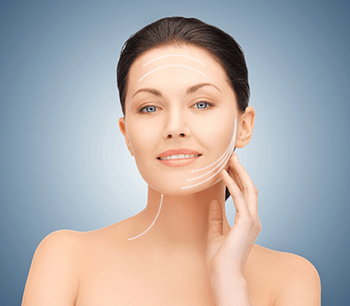 Dr. Patrick Sullivan explains why Juvederm is also able to provide such natural-looking results in such a short time. “It’s like a sugar,” he explains, detailing the fact that the fillers are made from hyaluronic acid, which is a naturally occurring substance in the body. The doctor goes on to explain why the fillers are such a popular part of the advancement of anti-aging procedures. “The whole ‘lifting’ idea started years and years ago,” he says, “but that was only one dimension because the aging process is more than just sagging. It’s also deflation.” Juvederm both re-inflates areas of the face where volume is lost while also smoothening out fine lines and wrinkles. And it does all of this without any of the incisions or cutting needed for face lifts. Crow’s feet, forehead lines, frown lines, smile lines, marionette lines (which appear underneath the sides of our lips), lip fullness, sagging chins and sagging cheeks are all issues that can be addressed by Juvederm fillers. For more information on how to naturally improve your look, contact DermMedica toll free at 1-866-861-3070, or if you are in Kelowna, call 250-868-3070 or contact DermMedica via EMail.